As a student rabbi, and especially as one who is on the verge of beginning a career without the safety net of the word “student” in my title, this story is particularly powerful. So often, I have looked up to my rabbis, my mentors, my teachers, my supervisors, and my professors as I try to figure out what it means to be in those positions. It is easy to look up to leaders in the rabbinate and be afraid that I will never be like them. Then I remember Zusya: it does not matter whether I am like them or not. I am not expected to be like anyone who came before me. I am expected to be myself, to be the best rabbi and person I can be. 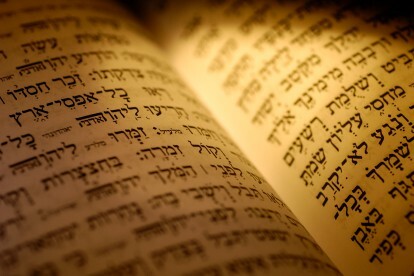 What others do that works so well may or may not work for me, and this journey through rabbinical school is about figuring out who I am as a rabbi. My fellowship with Kulanu, the Cincinnati-wide Reform Jewish High School program, has guided me tremendously in this journey. At Kulanu, we are encouraged to live up to this story of Zusya every Sunday night when we gather together. As teachers, we spend about forty minutes together each week prior to class. This time is focused on becoming more connected with ourselves both as individuals and as educators. I distinctly remember our fearless leader, Rabbi David Burstein, declaring (more than once) in those meetings that we should not try to fake it in the classroom because the teens can smell our BS from a mile away. It is true. They can. From forty miles away. Unlike other settings where I have taught, Kulanu does not require educators to hand in lesson plans prior to class (we do hand them in at the end of the semester); the focus is not primarily on classroom techniques. Doing so would require us to be like someone else. Rather, as we read Parker Palmer’s The Courage to Teach, we are to find our inner teacher, whatever form that may take. We are asked to bring 100% of ourselves to the classroom or find a sub if we are unable to do so on a given night. Yet Kulanu is anything but scary. I have learned to evaluate my work at Kulanu, and now in other settings, based on two criteria: Did I do the best work that is within me as I am today? and Did I help others find the best within themselves today? Ultimately the ability for both learners and myself to answer “yes” to those two questions is infinitely more important than anything else that happens in the classroom.